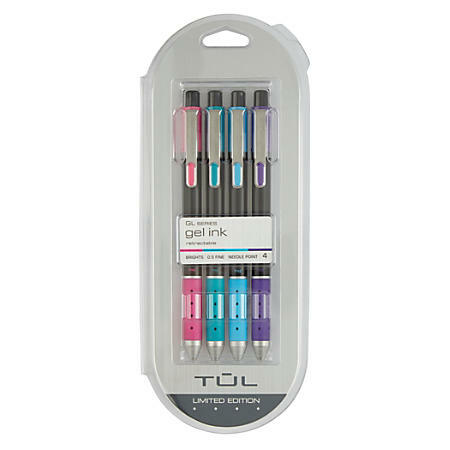 This helpful writing utensil features ink that flows smoothly from the barrel, helping ensure precise, balanced writing. The TPE resin grip helps you firmly hold the pen, so you can write with confidence. Smooth-flowing ink for consistent lines. Plastic barrel features a TPE resin, rubber-touch grip for control and comfort as you write. Stainless-steel clip secures to a pocket or notebook. Quick-drying ink prevents smearing and smudging and resists fading over time.